There are three kinds of dreams: the ones you have when you’re awake (“3-2-1, he let’s it fly just before the final buzzer and — swish — it’s all over! It’s all over! Texas wins the NCAA championship thanks to the gutsy effort of walk-on freshman Michael Corcoran! Just two days earlier he was hospitalized with smoke inhalation after carrying seven kids to safety after a fire at the School for the Blind, and here he is, hitting the winning shot!”); the ones you have when you’re asleep (can’t remember them) and the ones you have after hitting the snooze button on your alarm and going back to sleep. The weirdest, most mixed-up dreams are the ones that you have during that latter state of semi-sleep. Everything’s mixed up and you’re always looking for something or running from someone, and you do stuff like walk through the front door of a mansion that turns out to be a forest. These dreams never make sense. In one of them I even remember seeing an Alejandro Escovedo show where neither Todd Wolfson nor Raoul Hermandez were in attendance. Crazy stuff. As strange as this all sounds, there are some similarities between Bruce “Man of the People” Springsteen and Howard “Mouth Almighty” Stern. Both grew up in NYC’s “bridge and tunnel crowd.” Both have brought exposure to men who struggled to rebuild their lives after a stint in prison. For Springsteen, that inspiration was Tom Joad; for Stern it was Joey Buttafuoco. Another thing that may have contributed to this confusing dream is that Stern is on such a campaign to promote himself as the loudmouth with a heart of gold that the humanization process must’ve seeped into my lobes. I mean, this guy was even showing up on “Wheel of Fortune” just to come off as a regular guy to potential ticket buyers of middle America. I’ll tell you the strangest part of the whole thing, however. 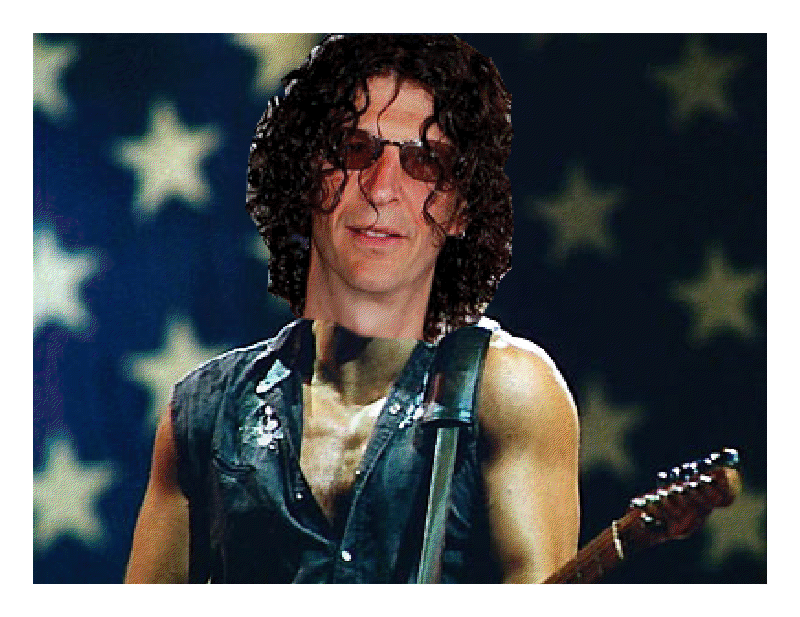 Bruce Springsteen and Howard Stern are two of my all-time idols (along with Bob Dylan, Albert Brooks, Elvis Costello, Bette Midler and Muhammad Ali, if you have to know), but I actually liked the Howard Springstern character, “the Boss of All Media” better than each of them individually. It just goes to show that Stern could do with a little more humanity and Springsteen could stand to lighten up a little. And I’ve got to stop reaching for the snooze button. This entry was posted on August 2, 2011 at 6:15 pm	and is filed under Uncategorized. You can follow any responses to this entry through the RSS 2.0 feed. You can leave a response, or trackback from your own site.